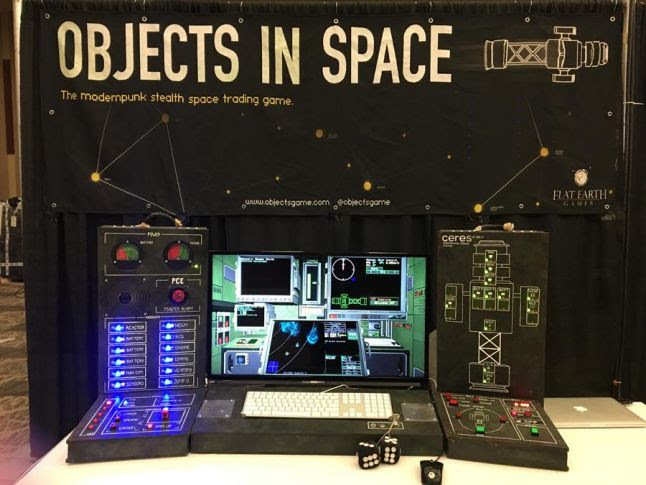 Objects In Space is a space trading and stealth game that has been turning heads since it was first unveiled some time ago. What is so special about the game is that you're encouraged to build your own cockpit console to play the game out of, making it an experience well beyond what a boring mouse and keyboard is capable of. This, of course, means that the game only really works on PC and we'll never see a PS4 or Xbox version of it, but if any game was worth sitting down on PC to play, it's this one. It's a completely randomised game with a near infinite number of stories to experience and things to see and do, and you could lose months into it. And now it has got a publisher in 505 Games and, after a few years of touring the game show scene, it now has a release date for some time in 2018. This game has the potential to be huge, and we can't wait to see more of it in action. HAH! I've got the Rayman Legends Demo on Nintendo Switch... were you lucky? Ubisoft announced that Rayman Legends on Nintendo Switch, the port of the absolutely superb 2D platformer, would be released on September 12. In addition, a demo for the game would be made available later this Summer (Winter for Aussies). 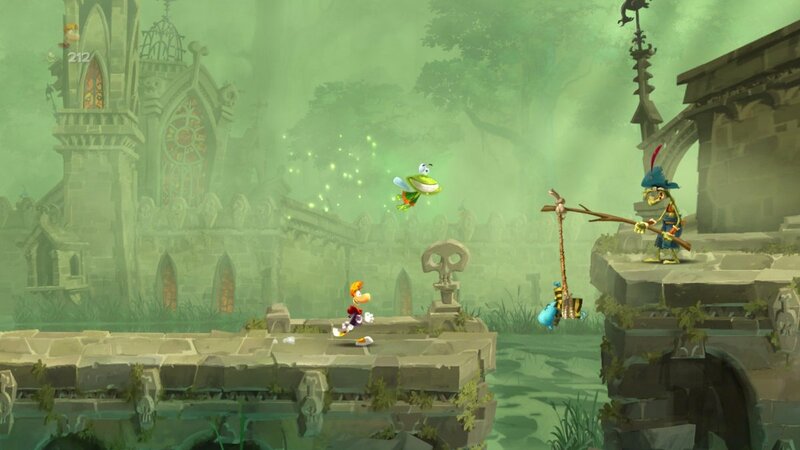 Related reading: Our review of Rayman Legends on the Xbox One. Except that some people (including yours truly) already have the demo. Unfortunately for Ubisoft, the demo was put up for download for a brief period earlier in the week, before someone noticed the mistake and got it pulled back down again. Thankfully, those of us that spotted it early have been able to enjoy the game in all its 2D glory. The good news is that Rayman plays absolutely gorgeously on Nintendo Switch, and, even if you've already played it, this is a game you should be looking forward to. Between VoeZ and Thumper, the Nintendo Switch is already a platform with a solid claim to fame when it comes to rhythm games. Sure, it doesn't have a Hatsune Miku title, yet, but we can forgive it that (for now) when the others are just so good. And now Superbeat: Xonic is joining the party. Related reading: Our review of the game on PlayStation Vita. Superbeat is a rhythm game with serious style, having launched originally on PlayStation Vita before being ported to PS4 and Xbox One. As much as we loved that version, there is something appealing about having rhythm games for on the go play, so we think the Switch will be a good home for the game. The Switch release will be both physical and digital, and lands on October 3 in the US - we assume the European release will be around the same time. With the game you're getting 50 odd tracks and a difficulty level that will ease beginners into it, but make the most experienced rhythm game fans sweat like crazy. Penguin Kun Wars is a bit of a forgotten classic... or perhaps it's not a classic at all. It is good fun though, as a simple little arcade game in which you play as a penguin - right up there with the coolest animals of all time. In Penguin Kun Wars, your goal is to roll balls across a table, trying to get all of your balls to your opponent's side of the screen, but strategically timing your rolls to hit your opponent, temporarily stunning them and giving yourself a couple of precious moments to drive more balls down the screen. You think Rocket League and Splatoon are competitive... you ain't seen anything yet. This remake will have 1 vs. 1 and 2 vs. 2 play, as well as local and online multiplayer. There's apparently going to be a story mode, as well as completely remixed versions of the original game's music. No idea on whether this one will get a release outside of Japan at this stage, but we certainly hope so.